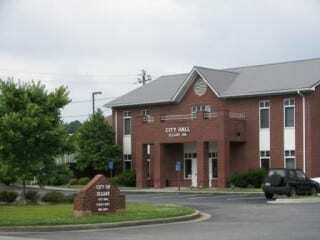 ELLIJAY, Ga. – Work could begin soon on resurfacing State Route (SR) 515 in Gilmer County. Georgia DOT has just awarded a contract to Colditz Trucking, Inc. of Blairsville, Georgia, valued at nearly three million dollars for a construction project to resurface a 4-mile portion of the highway. The project includes 4.527 miles of resurfacing and shoulder rehabilitation on SR 515, beginning at DR 382 and extending to Maddox Drive in Gilmer County. “This project and others like it in northwest Georgia add up to these two things- better mobility and a better quality of life for all the area’s residents,” said Dewayne Comer, district engineer at the Georgia DOT office in Cartersville. This resurfacing project is scheduled to be completed by the end of November 2018, at a construction cost of $2,788,176. Information on construction and lane closure schedules on this project will be forthcoming before work begins. More details on this and other projects in the Department’s most recent bid awards are available via Award Announcement Download at: https://www.bidx.com/ga/letting?lettingid=17121501. The Georgia Department of Transportation continues its 2017 construction program. Dozens of important roadway improvement projects are ongoing this summer throughout northwest Georgia as we work to deliver projects on time and on budget while keeping our transportation network the nation’s finest. Pardon the necessary inconvenience and please drive cautiously and safely at all times, especially in work zones.